Dr. Juan Carlos Mejia graduated as a dentist from CES University, a highly recognized private school in Medellin. From his early years Juan Carlos Mejia developed an interest in people from other countries and cultures. Travelling as a teenager to the Unites States of America as an exchange student with the AFS program, gave him the chance to make many friends from all over the world. This is where he learned and started perfecting his English speaking abilities. He later received a postgraduate degree in Dental Care for the Adult Patient from the University of Antioquia, one of the oldest and most prestigious public universities in Colombia. Immediately after graduation he started teaching as a professor on the dental faculty at the University of Antioquia and taught there for over ten years. 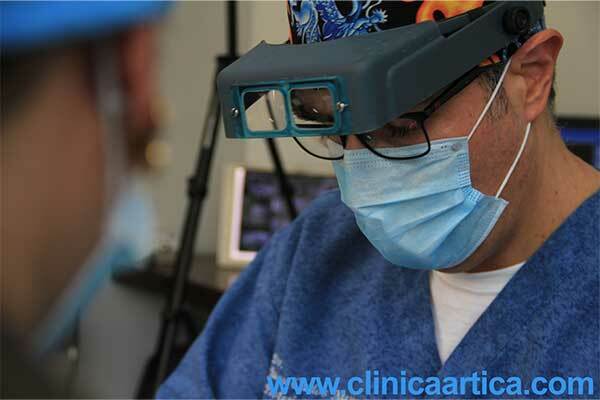 Dr. Juan Carlos Mejia also received a degree in surgical and prosthetic management of dental implants from the University of El Bosque in Bogota. He voluntarily takes many courses of continuing education to stay up to date with the latest advances in the field of dentistry. Dr. Juan Carlos Mejia has assembled a team of the most noted dental specialists in Medellin in various fields of dentistry to make sure the best possible service is delivered in different specialty areas of dentistry. Make an appointment with Dr. Juan Carlos Mejía.